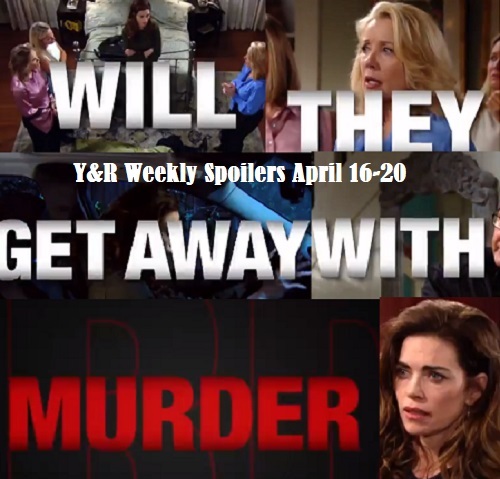 The Young and the Restless (Y&R) spoilers for the week of April 16-20 tease that some exciting moments are coming up in Genoa City. At Victoria’s (Amelia Heinle) place, the partygoers will reel over J.T.’s (Thad Luckinbell) shocking death. Once they realize J.T. doesn’t have a pulse, the ladies will come together and form a plan. Phyllis (Gina Tognoni) will be the ringleader on this. Nikki (Melody Thomas Scott) will want to call the police, but Phyllis won’t think that’s wise. She’ll contend that the cops could get the wrong idea and take them all down. Instead, Phyllis will suggest they should get rid of J.T.’s body. She’ll insist that a cover-up is their best chance at escaping the consequences. The Young and the Restless spoilers say J.T.’s body will indeed be dumped and buried. Victoria (Amelia Heinle) will be a nervous wreck over this mess, but she’ll just have to press on. Now that J.T.’s dead, they can only move forward and hope their problem goes away. Unfortunately, the timing couldn’t be worse. Y&R spoilers state that Victor (Eric Braeden) will finally be able to get a few words out. 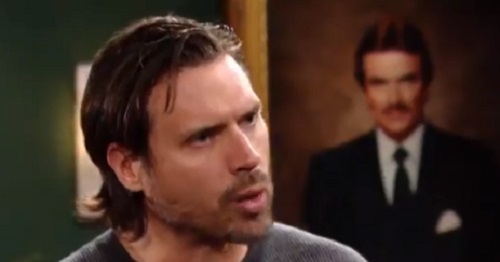 He’ll stun Nick (Joshua Morrow) when he exposes J.T. as the real culprit. Once Nick knows the truth, he’ll contact Paul (Doug Davidson) to fill him in. The blood found after the brawl will point to J.T. as well. It’ll lead to a warrant for his arrest, so people will be looking all over for him. That’s not good news for Nikki and the rest of the cover-up gang. Nick will refuse to rest until J.T.’s found and brought to justice. He’s in for a big surprise when he ultimately finds out the whole story. In the meantime, Paul will try to follow J.T.’s trail. He’ll probably believe J.T.’s gone on the run, but that’ll just make him even more determined to locate him. The Young and the Restless spoilers say Paul will want to find any evidence that could help with the case. He’ll eventually show up at Victoria’s house with a search warrant, so she’d better hope they truly covered their tracks upstairs. The Young and the Restless spoilers hint that plenty of hot drama’s on the way! We’ll give you updates as other Y&R info comes in. Stay tuned to the CBS soap and don’t forget to check CDL often for the latest Young and the Restless spoilers, updates and news.